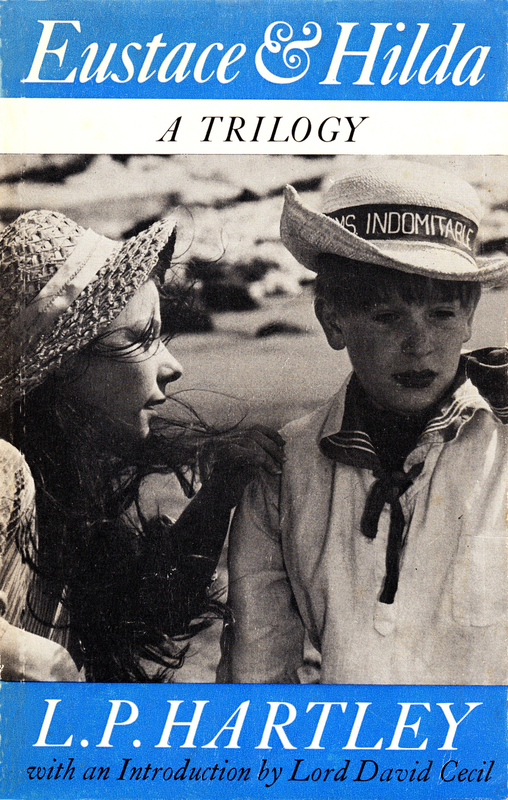 The Shrimp and the Anemone begins with Eustace and Hilda playing on a Norfolk beach; Eustace is a rather sickly (he has a weak heart) ten-year old boy, who is afraid of almost everything, whilst Hilda, his fourteen year-old sister, is completely different—she has almost taken over the role of their mother who died whilst giving birth to their younger sister, Barbara. Hilda is more sure of herself and used to being in control. She also likes bossing Eustace about and sometimes takes a sort of sadistic pleasure in watching him squirm. However there is a strong bond between the two siblings and they both love each other very much. The book begins with Eustace calling his sister over to a rockpool, in which Eustace can see a sea anemone in the process of eating a shrimp. Eustace, who is concerned for the shrimp, convinces his sister to try to save it. She manages to pull the shrimp away from the anemone but not in time to save the shrimp and also results in disembowelling the anemone, thereby saving neither. The sensitive Eustace sobs whilst Hilda is less concerned. As the novel proceeds we can see that the two children’s relationship is similar to that of the shrimp and the anemone with Eustace as the shrimp and Hilda as the anemone. Eustace often feels subservient to his sister, as if he has no will of his own. When he does exert his will he feels guilty and becomes sick. 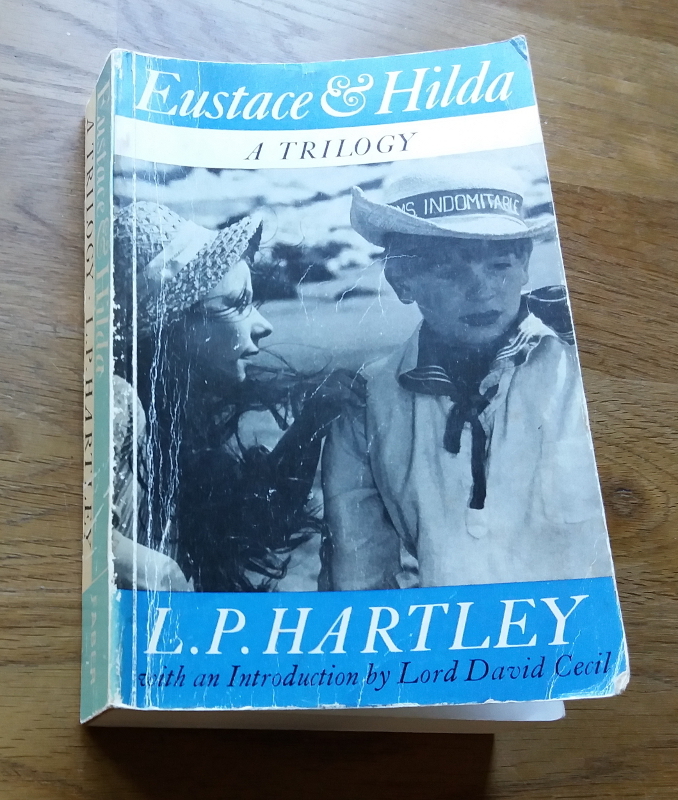 In the novel a couple of events occur which result in Eustace and Hilda being separated and both experience this separation as painful and like a death. L. P. Hartley portrays the children brilliantly, both their manners of speech and their thought processes. Although the concentration is on Eustace we also get to see things occasionally from Hilda’s point of view. Eustace is meek and is overly concerned with pleasing others. He is also scared of trying anything new. Eustace has been told that if he meets Miss Fothergill, an elderly wheelchair-bound rheumatic lady who is often to be seen on the footpaths near the beach, then he must speak to her but Eustace is utterly scared of her. Here’s a bit of dialogue between Eustace and Hilda as Hilda spots Miss Fothergill approaching on a footpath. But the light of battle was in Hilda’s eye. He had already turned away from the approaching bath-chair and was tugging at Hilda’s hand. “But she’s so ugly,” protested Eustace. Annie was the Cherrington’s daily ‘help’. Eustace’s protestations continue whilst Hilda makes sure he doesn’t escape. Eustace ends up talking to Miss Fothergill and then, as he gets more bold, pushing her in her bath-chair. Although some of his fear has abated it returns when Miss Fothergill asks Eustace and Hilda to tea. This fear of visiting Miss Fothergill grows over the next few days, especially when Hilda reveals that she won’t be accompanying him so he’ll have to go on his own. Meanwhile Eustace is asked by Nancy, a girl he is besotted with, to go on a paper-chase on the day of the tea invitation. Uncharacteristically he exerts his own will, disobeys his parents, and goes on the paper-chase with Nancy—but he pays the price as he gets caught in a thunderstorm, falls ill, and is in bed for weeks. Eustace eventually has tea with Miss Fothergill and once he gets to know her, and gets used to her ‘deformities’, he becomes a regular visitor. That afternoon marked more than one change in Eustace’s attitude towards life. Physical ugliness ceased to repel him and conversely physical beauty lost some of its appeal. There is not much of a plot to The Shrimp and the Anemone, instead it is an exquisitely executed character study of the two children—how they interact with each other, with other children, with adults and how they change over time. There is however an event that happens which changes the course of their lives and as I will reveal details of this event below, you may wish to skip to the last two paragraph if you are planning to read this book. During one of Eustace’s visits Miss Fothergill dies and later it is revealed that she bequeathed a large sum of money to Eustace which will enable him to attend a public school and then university. Eustace is not told of this but he soon notices that his father and aunt, and others, have begun to treat him differently. The differences are subtle, but they now show him more respect, ask his views and defer to his wishes on occasions. His father makes plans for Eustace to attend a good school but when Eustace is told by a local coach-driver that he will soon be ‘going away’ he assumes, because of his weak heart, that he is about to die. Over the following days he becomes morose and listless and talks to Hilda of writing his will. Whilst playing on the beach Eustace tries to tell Hilda of his fears and when she realises what he means she explodes in anger and fear. She feels that he’s trying to escape from them. Part of Hilda’s identity is in taking care of Eustace and she feels threatened and rejected with his talk of dying. It is a highly charged scene which is then quickly defused when some friends arrive congratulating Eustace on his inheritance and praising him for his foresight in getting to know Miss Fothergill. Left alone again, Eustace and Hilda discuss the money without really understanding the importance of it and then run back home care-free. I originally read The Shrimp and the Anemone for the 1944 Club last year but didn’t have time to write anything about it—Harriet Devine and Simon (Stuck in a Book) did post reviews though. It is an astonishingly good book and I’m impressed with Hartley’s lucid writing style and sensitive portrayal of all the characters in it. The children’s dialogue, their thoughts and fears is amazingly realistic. I had originally planned to continue with the other volumes shortly after but have only got round to doing so now—I decided to re-read The Shrimp and the Anemone before the other volumes and feel that it’s a book that I could re-read many more times. I am currently on the last volume, Eustace and Hilda, and hope to post reviews of the other two volumes as well. My beaten-up, well-worn, well-read, secondhand copy is a joy to read and hold; its heft is reassuring and the clear white (o.k. they’re yellowing very slightly) pages make it even more enjoyable to read—these things shouldn’t make a difference, but they do. 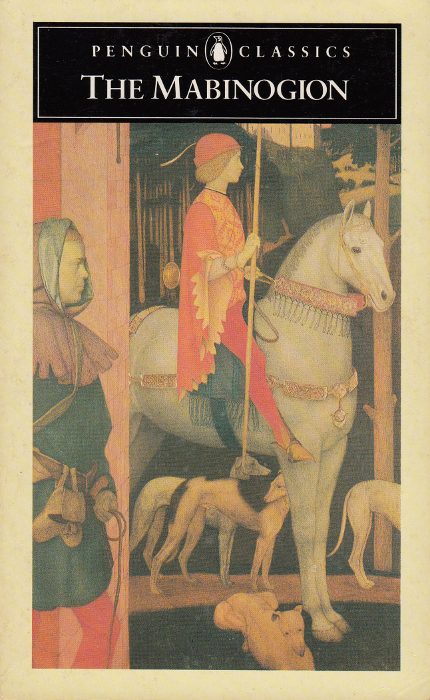 Filed under Fiction, Hartley, L. P.
The Mabinogion is a collection of eleven stories that were originally written in Middle Welsh, possibly in the 12th-13th centuries. The oldest manuscripts are however from around the end of the 14th century. It is unclear how much the authors of the stories were influenced by Geoffrey of Monmouth’s History of the Kings of Britain or Chrétien de Troyes’s Arthurian tales. In the introduction of my Penguin edition, translated by Jeffrey Gantz, it is suggested that Chrétien could have been influenced by early versions of the Welsh tales and that the modern versions could be Welsh versions of these French re-workings. No doubt scholars write papers and books on these sorts of things but I’m going to look at one of the stories in the collection called How Culhwch Won Olwen as it was one of my favourites from the collection. The title for the collection, The Mabinogion was provided by the first English translator, Lady Charlotte Guest, in 1849. Gantz suggests that a better title might be The Mabinogi and Other Early Welsh Tales but The Mabinogion, though incorrect, is now the established name for the collection of stories. One of his [Kilydd, Culhwch’s father] advisers said, ‘I know a good woman who would suit you: the wife of King Doged.’ They decided to go and seek her; they killed Doged and brought back the woman, with her only daughter, and seized her husband’s land. How Culhwch Won Olwen begins by telling us of Culhwch’s parents; his mother’s death when he was young and how his father eventually ‘took’ (see above) another wife. When the king’s new wife discovers that Kilydd has a son she suggests that Culhwch should marry her daughter. When Culhwch protests that he’s too young she puts a curse on him that he will never sleep with a woman until he has won Olwen, daughter of Chief Giant Ysbaddaden. As King Arthur is Culhwch’s first cousin he sets off to ask for Arthur’s help in this quest. Culhwch set off on a steed with a glossy grey head, four years old; it was firmly crotch-jointed, hollow-hoofed and had a tubular gold bridle bit in its mouth. The lad sat in a precious gold saddle, holding two sharpened silver spears and a battle axe half a yard across from ridge to edge, an axe which would draw blood from the wind, and which was swifter from stalk to ground than the swiftest dewdrop in the month of June, when the dew is heaviest. Culhwch eventually gets to see Arthur and asks for his help in finding Olwen, daughter of Chief Giant Ysbaddaden. Culhwch then invokes her in the name of Arthur’s warriors and for the next nine pages there is a list of these warriors. It’s tempting to start skimming over this list of names as we get ‘Gwynn son of Esni, Gwynn son of Nwyvre, Gwynn son of Nudd, Edern son of Nudd, Cadwy son of Gereint’ etc., but the author of the tale starts to have some fun as we get people like ‘Drwst Iron Fist, Glewlwyd Strong Grip, Llwch Windy Hand’ et al. At one point we get a list of about twenty ‘sons of Caw’. We then get long descriptions of the attributes of others such as Sgilti Light Foot who ‘never took the road so long as he knew his way, but if there was a forest he travelled along the tree tops, and if there was a mountain he travelled on the tips of the reeds, and never did a reed bend, much less break, so light of foot was he…’ I would have liked to quote the whole list but will instead restrict myself to a few more of the more humorous examples. Gwevyl son of Gwastad (when he was sad he would let one lip droop to his navel and raise the other until it was a hood over his head). Culhwch then sets off on a series of adventures in Britain and Ireland which are largely unrelated to those set by Ysbaddaden. But don’t worry, there is a happy ending as Culhwch and Olwen marry and Ysbaddaden ends up with his head on a stake. I read this as part of Paula’s Wales Readathon 2019 (aka Dewithon) at Book Jotter. 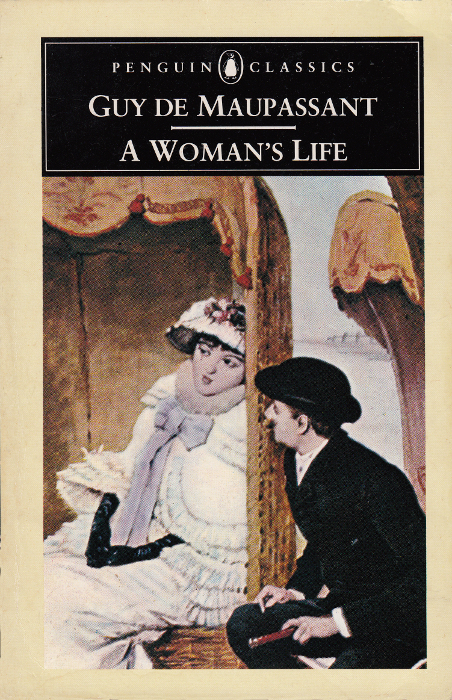 A Woman’s Life was first published as Une Vie in 1883. Maupassant began working on it in 1877 when he was only twenty-seven and it was to be his first novel. The translation I read was from 1965 by H. N. P. Sloman for Penguin Books. She was a short, silent, unobtrusive woman, only appearing at meal-times and then retiring to her room, where she remained closeted all day. She had a friendly manner and was beginning to feel her age, though she was only forty-two. Her eyes were soft and sad and she had never counted for anything in the family. As a child no one had ever kissed her, for she was neither pretty nor noisy; she was like a shadow or some familiar object, a living piece of furniture that one sees every day without noticing it. Aunt Lison appears at different parts of the story but is hardly noticed by any of the other characters at all. Although not particularly religious the family attends church regularly out of respect for the abbé. One day at church they are introduced to their new neighbour, the young Vicomte de Lamare, who has inherited the property following his father’s recent death. Jeanne and Julien, the Vicomte, soon begin courting and decide to marry. This is, for Jeanne, a blissful period of her life. The wedding is planned for six weeks time followed by a honeymoon in Corsica. There is a wonderful scene where the two lovers go off for an evening walk in the gardens. The Baron and Baroness go to bed and ask Aunt Lison to wait up for the young couple. Coming back Julien notices that Jeanne’s shoes are wet and asks ‘Aren’t your darling little feet cold?’ Lison, hearing this, begins to tremble, then sob. When asked why she says ‘No one has ever asked me a question like that…never…never.’ She then runs off to her room much to the amusement of the young couple. Jeanne mutters ‘Poor Auntie!’ Jeanne is amused at the thought of any man making love to Aunt Lison but Jeanne is just as unprepared for her wedding night and married life. Maupassant is quite explicit, for a nineteenth century writer, in his depiction of their wedding night. Jeanne gets used to married life but does not enjoy the physical side. After the misery of the first night Jeanne had got used to Julien’s touch, his kisses and tender embraces, though her revulsion from their more intimate relations remained. She found him attractive and loved him, and her light-heartedness and gaiety returned. During their honeymoon in Corsica Jeanne continues to feel embarrassed about Julien’s sexual appetite. However, one day finding themselves alone whilst trekking up a mountain path she becomes more playful with Julien and she experiences physical sexual pleasure for the first time. The remainder of the honeymoon is like a dream for her. Well, what with this being a nineteenth century novel we know that things will slowly get worse from hereon. Once they return to the Poplars the everyday realities of life become clearer. It becomes apparent that Julien is extremely miserly, even resenting spending money on food and heating, and he seems to have quickly lost interest in his wife. Jeanne, meanwhile, realises that she has nothing to occupy her time as Julien takes complete control of the finances and the running of the property. 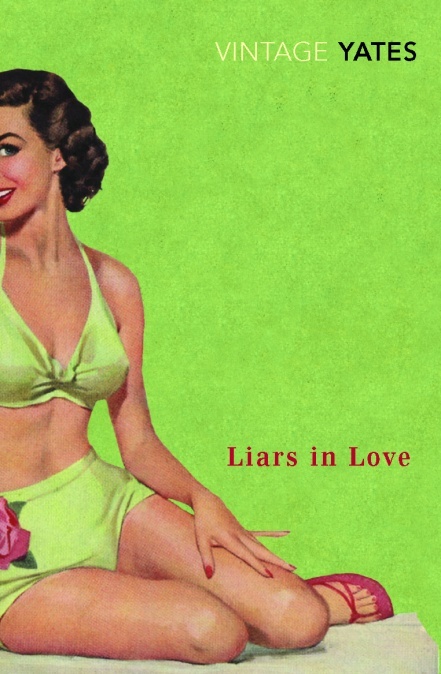 It turns out that Julien’s lack of sexual interest in his wife is because he is chasing other women; first there is the maid, Rosalie and then a local Countess, Gilberte. As the novel progresses Jeanne is let down by everyone, one by one. 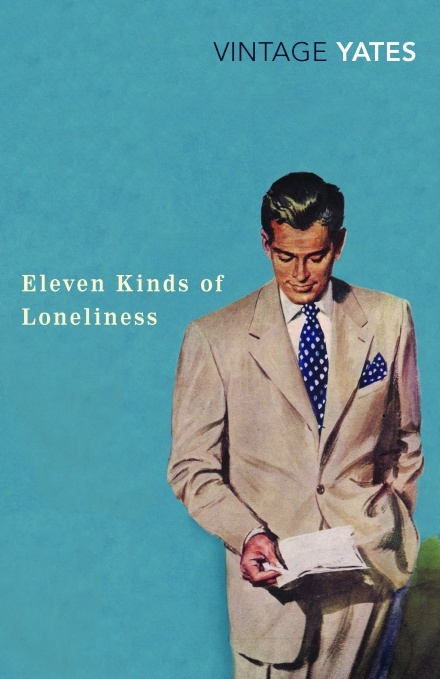 Her husband has affairs; even her parents, it turns out had lovers in the past; her son becomes a dissolute young man who, through his gambling debts and reckless business deals, drains Jeanne’s whole inherited wealth. When a new, puritanical, abbé arrives Jeanne becomes momentarily drawn towards religion but in the end she can’t accept his vengeful, vindictive God. As Jeanne is introduced to the miseries of life Maupassant portrays her compassionately, he does not ridicule her for her naivety, instead he shows how she copes with it and adapts to the new situations. She is naturally optimistic even if events are sometimes overwhelming. By the end of the book Rosalie has returned and helps to organise the day-to-day running of Jeanne’s life and they become friends. The novel ends with her son, Paul, wishing to return, having already delivered his newly born daughter into her care, whom she instantly dotes on. Rosalie sums it up: ‘You see, life is never as good or as bad as one thinks.’ Maupassant has convinced us to hope for the best for Jeanne. This was cross-posted on the Marvellous Maupassant blog. I recently read a book on Émile Zola called The Life and Times of Emile Zola by F.W.J. Hemmings which was published by Elek Books in 1977. 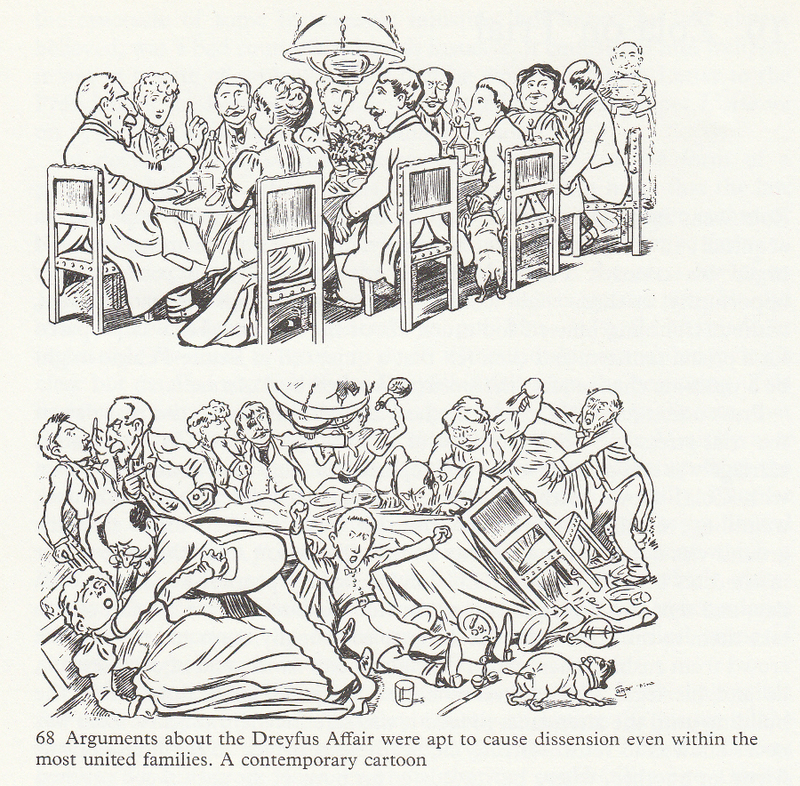 There was, of course, a chapter on the Dreyfus Affair which had this cartoon which humorously shows the divisions within French society at the time. For some strange reason it made me think of the current situation in the UK over Brexit. 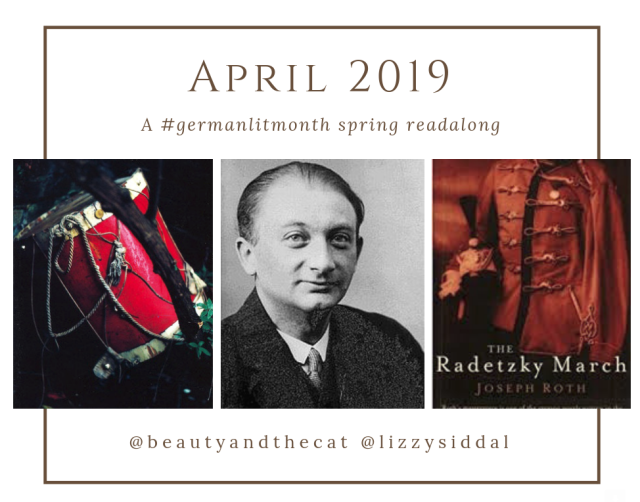 My last post was my final contribution to German Literature Month at the end of November. Since then I read several books to get my TBR pile down in order to complete the GoodReads TBR challenge I’d signed up to. 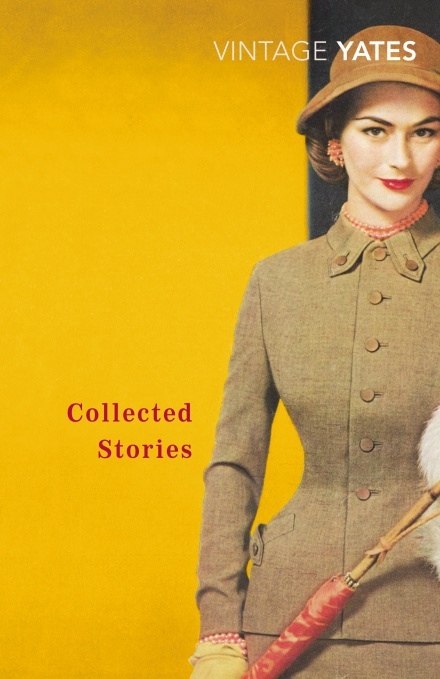 I also read a couple of short story collections by William Trevor but never got round to posting anything about them—do you also find that short story collections can sometimes be awkward to review? Over Christmas I read Ring of Steel by Alexander Watson, which was a chunky book on the First World War from Germany’s and Austria-Hungary’s perspective. I had intended to read this in November, both as part of GLM (though it wasn’t really eligible) and because it was the centenary of the end of WWI but time ran away from me. It was an interesting book as we rarely see WWI from the German side; it was at times a bit of a slog though, and I had intended to post something on it this weekend but I didn’t take any notes and, again, time has run away from me. Continuing the German theme I am currently reading Berlin Alexanderplatz by Alfred Döblin, a book that has taken me a bit of time to get into and one I very nearly abandoned, but I am halfway through and finished today’s reading with the quote below. It is quite an optimistic quote but it comes at quite a bleak point in the story where the main character has just been shoved out of a getaway car by his comrade and friend into the path of a chasing police car. Berlin Alexanderplatz is full of these vignettes or sketches away from the main text and is not typical of the rest of the narrative. I hope you enjoy it. Let us be happy when the sun rises and its beautiful light is here. Gas light may go out, electric light, too. People get up when the alarm-clock sounds, a new day has begun. If it was April 8th yesterday, it is the 9th today, if it was Sunday, it is now Monday. The year has not changed, nor the month, but a change has occurred nevertheless. The world has rolled ahead. The sun has risen. It is not certain what this sun is. Astronomers concern themselves a great deal with this body. According to them, it is the central body of our planetary system; for our earth is only a small planet, and what, indeed, are we? When a sun rises like that and we are glad, we should really be sad, for what are we, anyway; the sun is 300,000 times greater than the earth; and what a host of numbers and zeros there still are, and all they have to say is this: We are but a zero, nothing at all, just nothing. Simply ridiculous, isn’t it, to be happy over that. And yet, we are glad when the beautiful light is here, white and strong, and when it comes into the streets; and in the rooms all the colours awaken, and faces are there, human features. It is agreeable to touch shapes with one’s hands, but it is a joy to see, to see, to see, to see colours and lines. And we are glad, now we can show what we are, we act, we live. We are also glad in April for that bit of warmth, how glad the flowers are that they can grow! Surely that must be an error, a mistake, those terrible numbers with all the zeros! So, go on rising, sun, you don’t frighten us. We don’t care about your many miles, your diameter, your volume. Warm sun, just rise, bright light, arise. You are not big, you are not small, you are happiness.